restore the game via Origin (your main savegame will be preserved). This AGS version is compatible only with the Ultimate Collection downloaded via Origin. 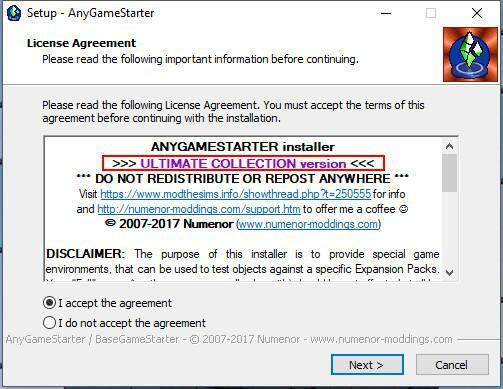 If you use any "Ultimate Collection" NOT from Origin, try using the AGS v. 2.1.1. The usage of this tool has not changed, compared to the "old" Version 2.1.1; therefore you can refer to the AGS 2.1.1 instructions page. 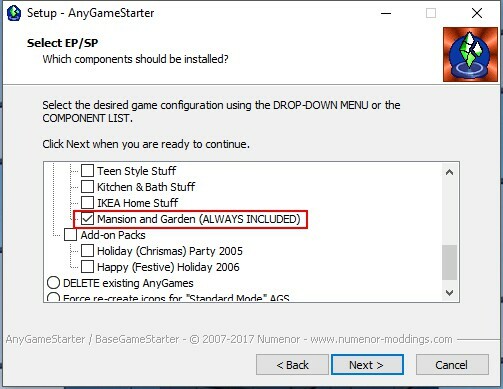 The Mansion&Garden SP is always included in the mini-game configuration; this is due to the peculiar structure of the Ultimate Collection, that contains only one executable (Sims2EP9.exe) that came with the M&G stuff pack. In the EP/SP list, the M&G option is always selected (if you deselect it, M&G will be included anyway). 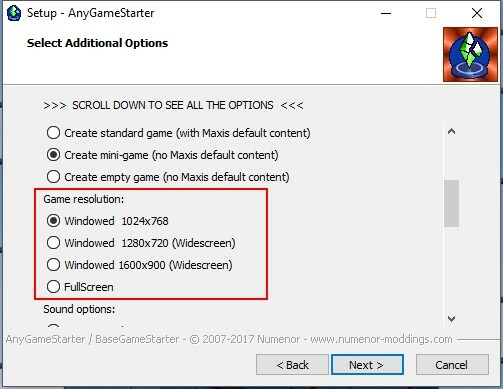 This new AGS allows new and greater screen resolutions for the mini-game; in order to use these resolutions, some users may need to fix the issue with the Ultimate Collection not recognizing the latest video cards. Please consider that I'm still retired from modding: I'll keep an eye on the new AGS 2.2 thread in order to solve the possible problems with it, but please don't rely on an immediate response from me. Many thanks also to gdayars (and maybesomethingdunno himself) for testing the AGS for me.